Jean-Marc Gilbert Mormeck (born 3 June 1972) is a French former professional boxer who competed from 1995 to 2014. He is a two-time cruiserweight world champion, having held the WBA title twice, from 2002 to 2007; the WBC and Ring magazine titles twice, from 2005 to 2007; and the lineal title in 2007. Mormeck also challenged for the unified world heavyweight title in 2012. Mormeck was born in Pointe-à-Pitre, Guadeloupe as an only child to Fulbert and Sonia Mormeck. When he was 6, he and his family moved to Paris, France where he still lives. Mormeck engaged himself in football and Muay Thai as an amateur. After watching some boxing matches on television, he became inspired to excel in it. He fought as an amateur in 1990 and turned professional in 1995. Early in his career, Mormeck lost 2 minor four-round bouts on points but kept winning for years afterwards. 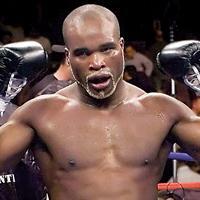 On 10 November 1998, Mormeck won the French light heavyweight title with a unanimous decision win over Alain Simon. He defended that title three times before relinquishing it. Later, Mormeck captured the WBA cruiserweight title by a 9th-round technical knockout win over Virgil Hill on 23 February 2002. Following three defenses with wins over Dale Brown, Alexander Gurov and Virgil Hill again, he added the WBC cruiserweight crown to his collection on 2 April 2005, by way of unanimous decision over Wayne Braithwaite. However, Mormeck lost his WBA and WBC cruiserweight titles to O'Neil Bell after being knocked out in the 10th round. This bout, on 7 January 2006, was for the undisputed (WBA/WBC/IBF) cruiserweight championship. In their rematch, Mormeck regained the WBA and WBC titles back from Bell (Bell lost the IBF title over a dispute from the organization) by unanimous decision on 17 March 2007. In the first defense of his second title reign, Mormeck lost his WBA, WBC and lineal cruiserweight titles as he was bested by mandatory challenger and knockout specialist David Haye on 10 November 2007. Mormeck was dropped heavily in the 7th round after being hit by a strong right from Haye. Although Mormeck rose up just in time, the referee realized that he was dazed and in no condition to go on, which caused the contest to be stopped and Haye winning the fight by knockout. On 17 December 2009, Mormeck made his return to the ring after a two-year layoff, fighting for the first time as a heavyweight, against Vinny Maddalone. He outpointed the veteran heavyweight over 8 rounds. Mormeck fought Uzbek heavyweight and WBA#7 Timur Ibragimov (30-3-1, 16 KO) on 2 December 2010, at Halle Carpentier, Paris. Mormeck started slowly but dominated the middle rounds to win a split decision (116-112, 116-111, 113-115). In October 2011, Mormeck was signed to fight unified Heavyweight Champion Wladimir Klitschko on 10 December 2011 at Esprit Arena, Düsseldorf, Germany  until Klitschko pulled out after having a kidney stone removed on 2 December 2011. The fight was postponed to 3 March 2012. In this fight, Mormeck attempted to be only the third cruiserweight champion to win a world title at Heavyweight, after Evander Holyfield and David Haye. However, he was defeated by the 4th - round KO. Before his first encounter with O'Neil Bell, Mormeck had no nickname, so he asked his fans to come up with one. He did not know that the fans had selected the moniker "The Marksman" until it was announced at the fight. Mormeck made one appearance in a French television talk-show called "Tout le monde en parle" to raise his mainstream profile. ^ "Profile: Jean-Marc Mormeck". Eastboxing.com. Archived from the original on 12 February 2012. Retrieved 25 November 2015. ^ "The Lineal Cruiserweight Champions". The Cyber Boxing Zone Encyclopedia. ^ Mark Vester (17 December 2009). "Jean Marc Mormeck Decisions Vinny Maddalone in Eight". BoxingScene.com. Retrieved 18 December 2009. ^ "Wladimir Klitschko to face Jean-Marc Mormeck in Dusseldorf in December". The Guardian. 6 October 2011. ^ "Klitschko pulls out of title bout". BBC News. Retrieved 25 November 2015. ^ Thomas Gerbasi (7 January 2006). "Bell v. Mormeck". ESPN. Retrieved 3 September 2009. ^ "Jean-Marc Mormeck". imdb.com. Retrieved 21 February 2008. This page was last edited on 23 September 2018, at 08:30 (UTC).